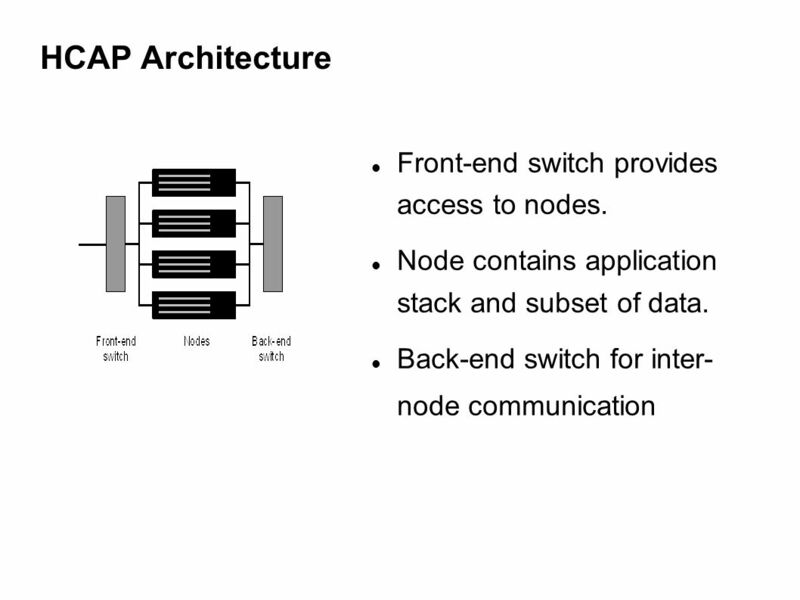 3 Application HCAP: Hitachi Content Archive Platform Cluster of Linux nodes Fixed-content storage Interfaces: HTTP, NFS, CIFS, SMTP, (CUPS?) 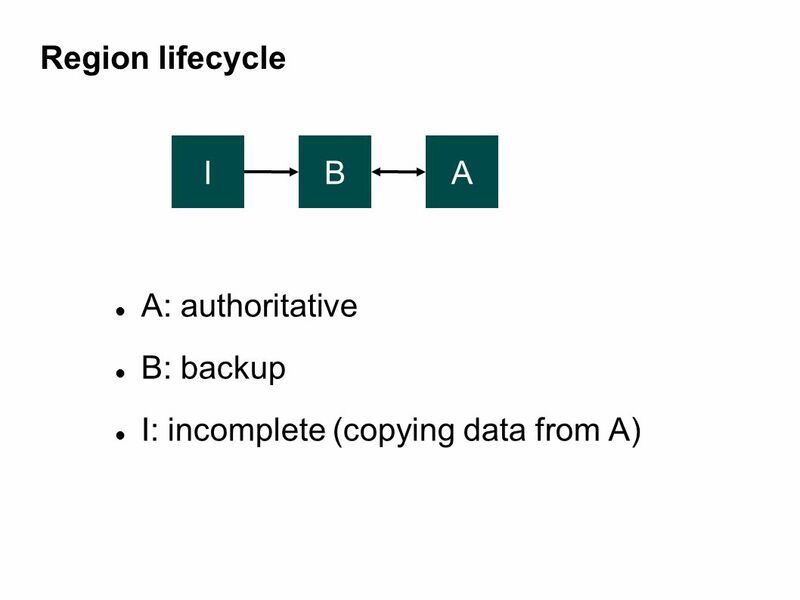 Configurable levels of data protection “Policies” look for and fix violations of constraints. Optional full-text search (FAST). 4 Background Created by Archivas, Inc., founded June 2003. 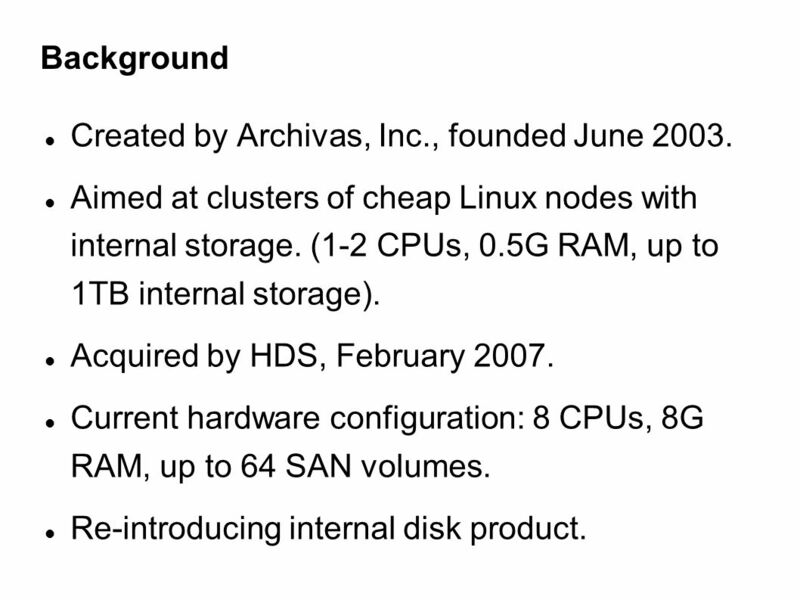 Aimed at clusters of cheap Linux nodes with internal storage. (1-2 CPUs, 0.5G RAM, up to 1TB internal storage). Acquired by HDS, February 2007. Current hardware configuration: 8 CPUs, 8G RAM, up to 64 SAN volumes. 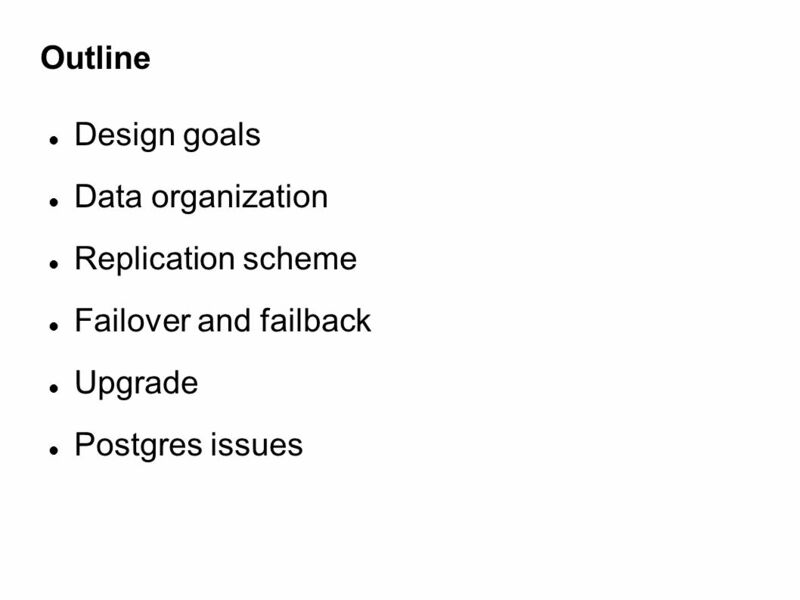 Re-introducing internal disk product. 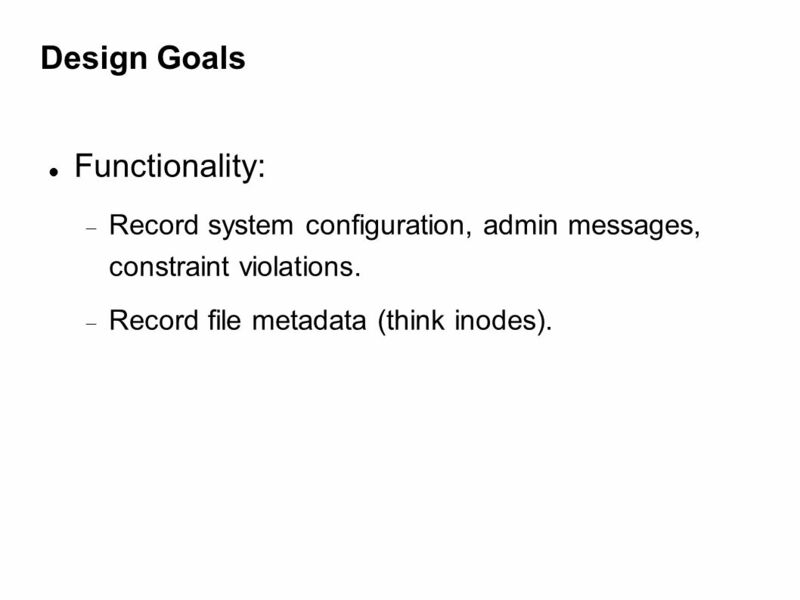 10 Design Goals Functionality:  Record system configuration, admin messages, constraint violations.  Record file metadata (think inodes). 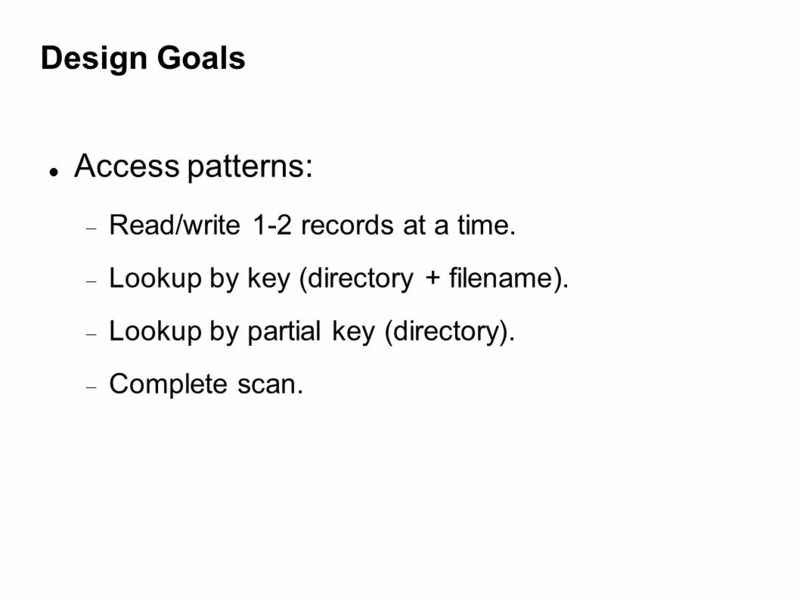 11 Design Goals Access patterns:  Read/write 1-2 records at a time.  Lookup by key (directory + filename). 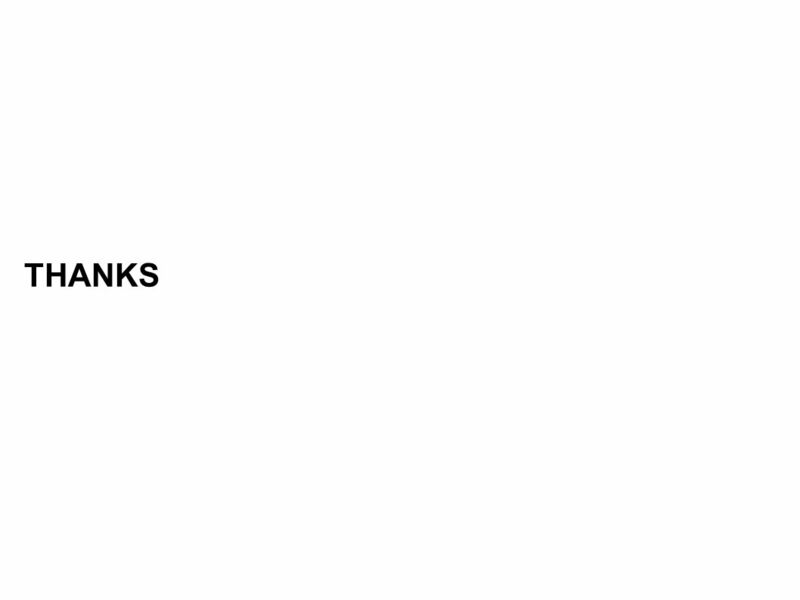  Lookup by partial key (directory).  Complete scan. 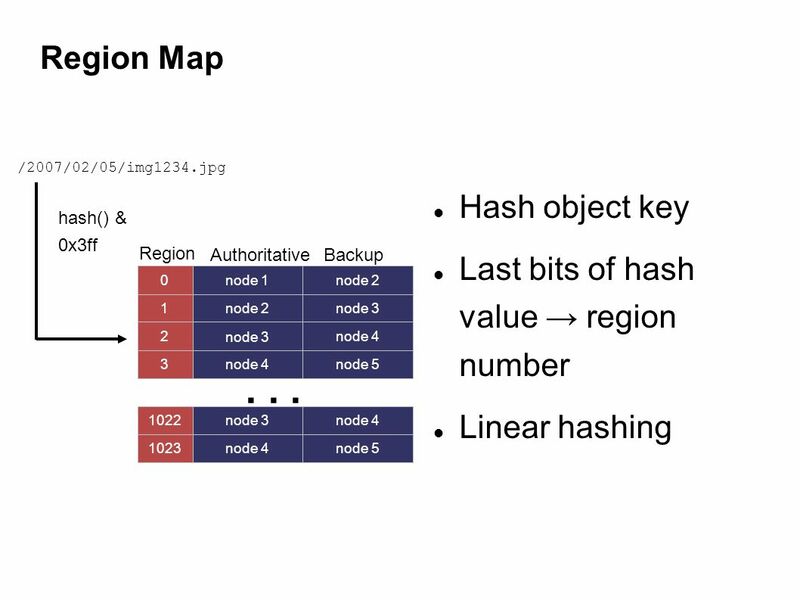 14 Shared-nothing distributed system Partition objects into regions based on object key. 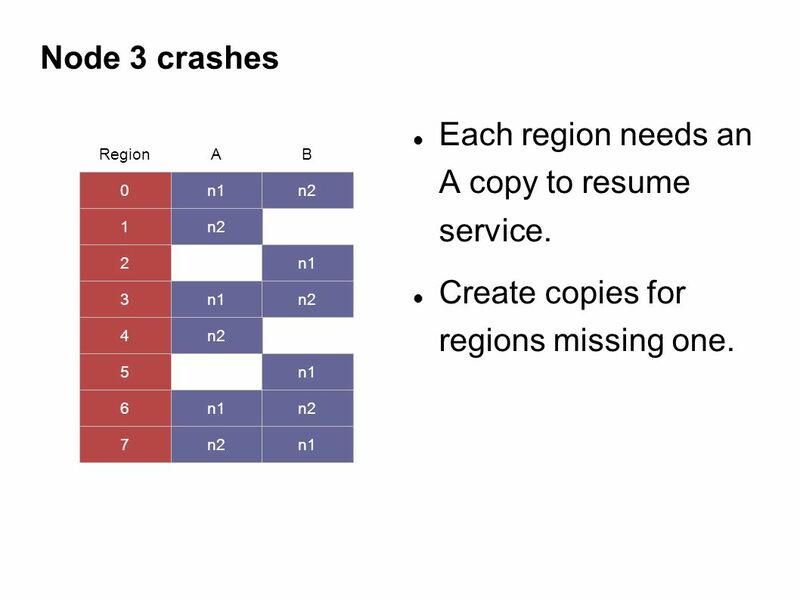 Maintained synchronized copies of regions. Route requests to region copies. 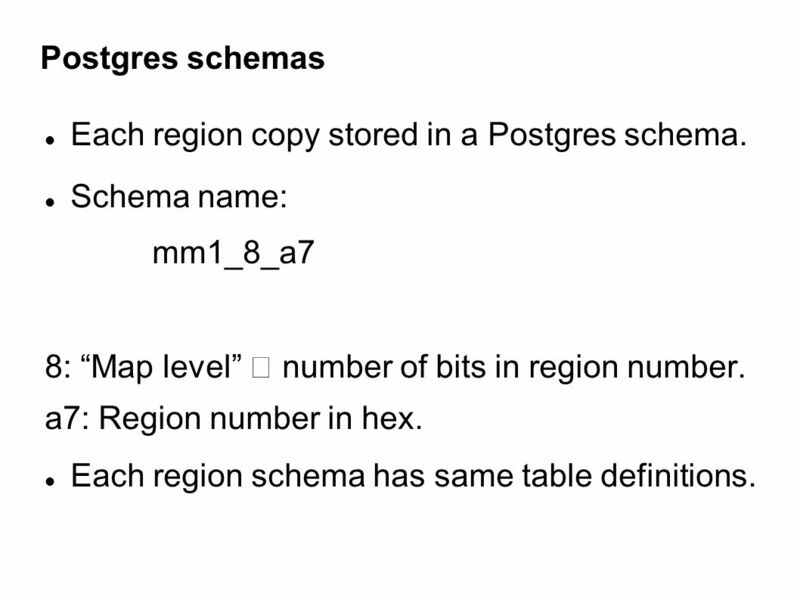 16 Postgres schemas Each region copy stored in a Postgres schema. 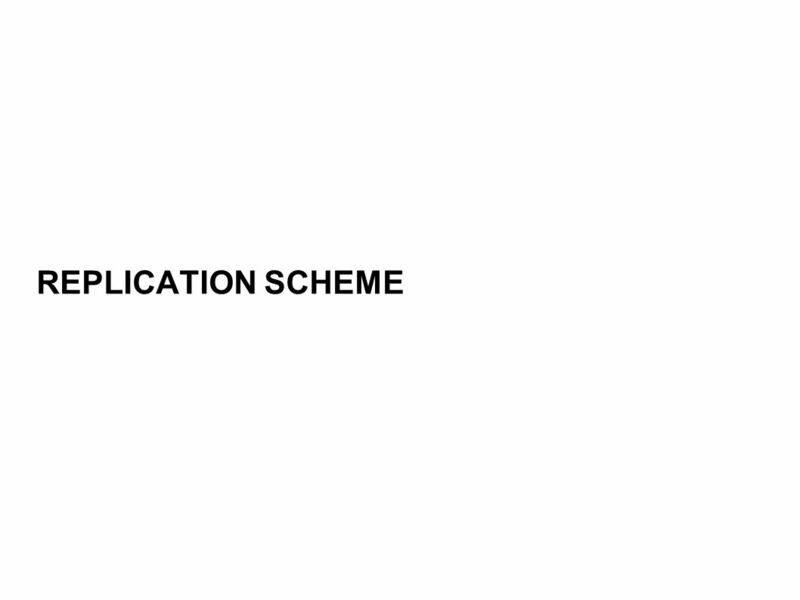 Schema name: mm1_8_a7 8: “Map level” ｰ number of bits in region number. 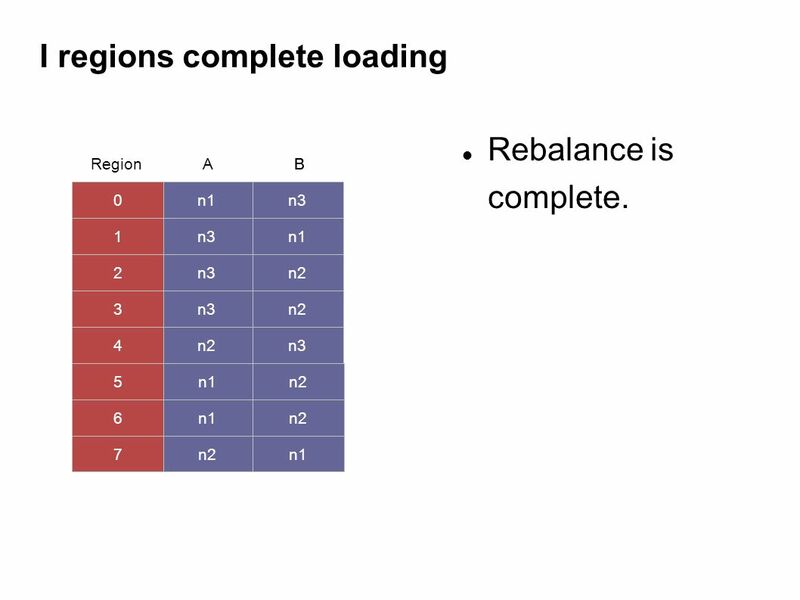 a7: Region number in hex. 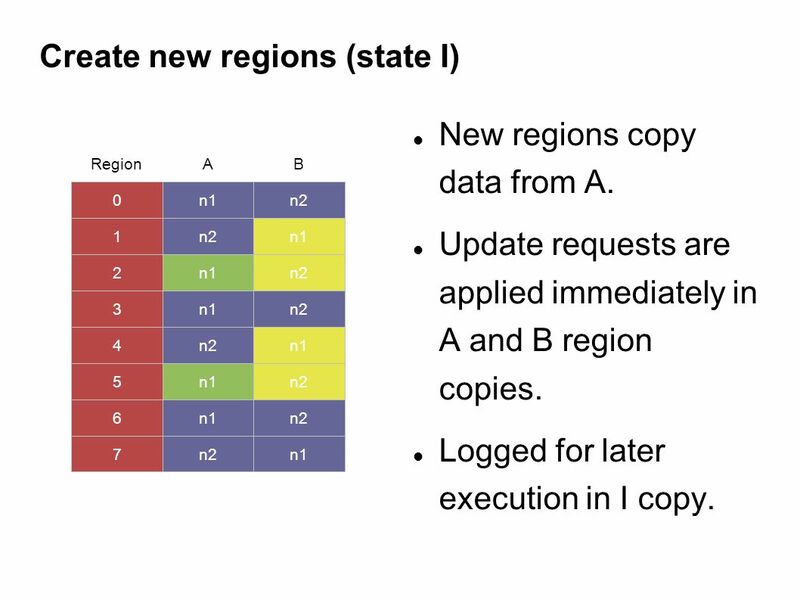 Each region schema has same table definitions. 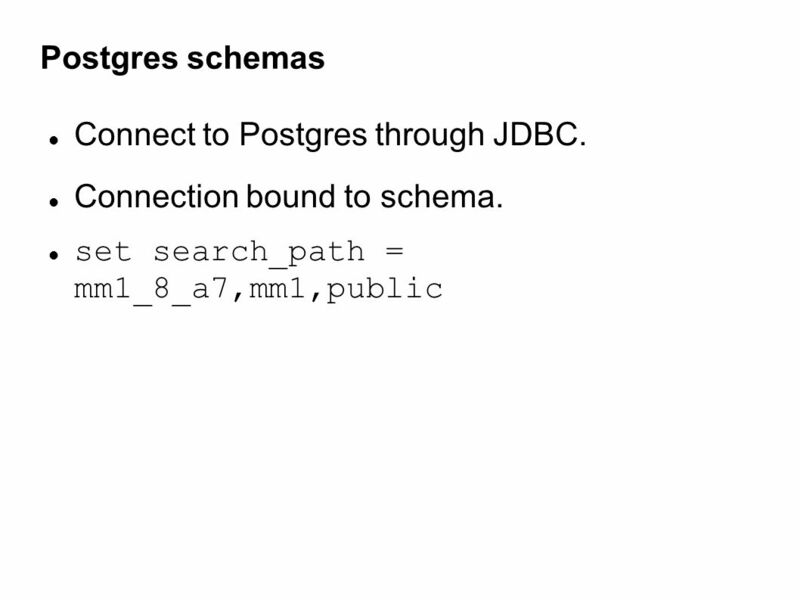 17 Postgres schemas Naming schema allows for adding regions (not yet implemented). 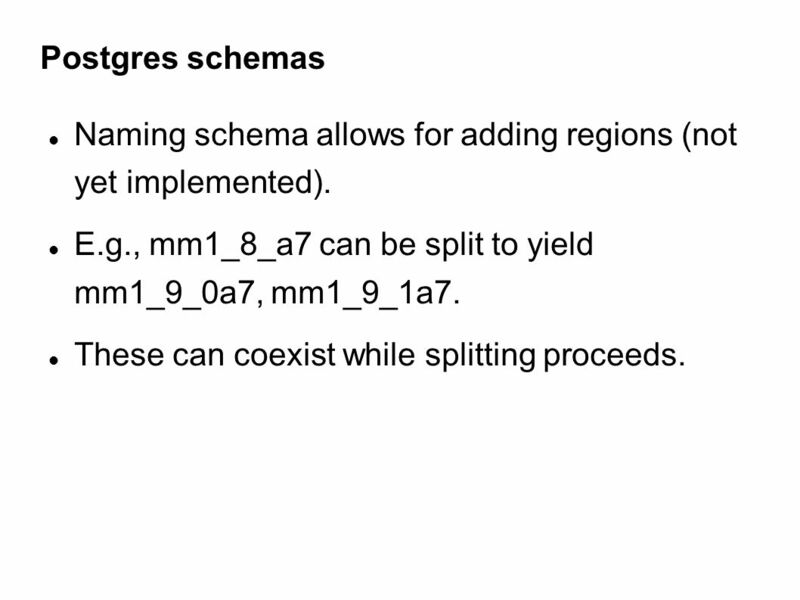 E.g., mm1_8_a7 can be split to yield mm1_9_0a7, mm1_9_1a7. These can coexist while splitting proceeds. 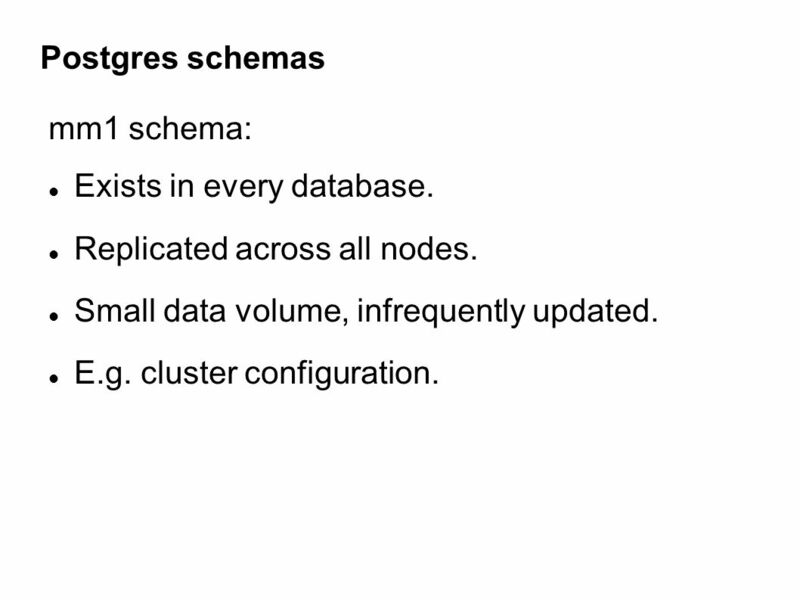 18 Postgres schemas mm1 schema: Exists in every database. Replicated across all nodes. Small data volume, infrequently updated. E.g. 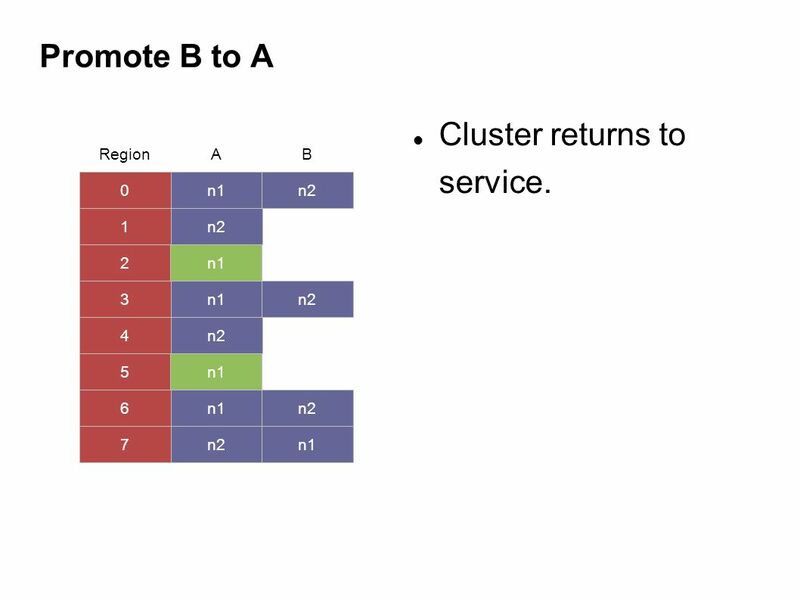 cluster configuration. 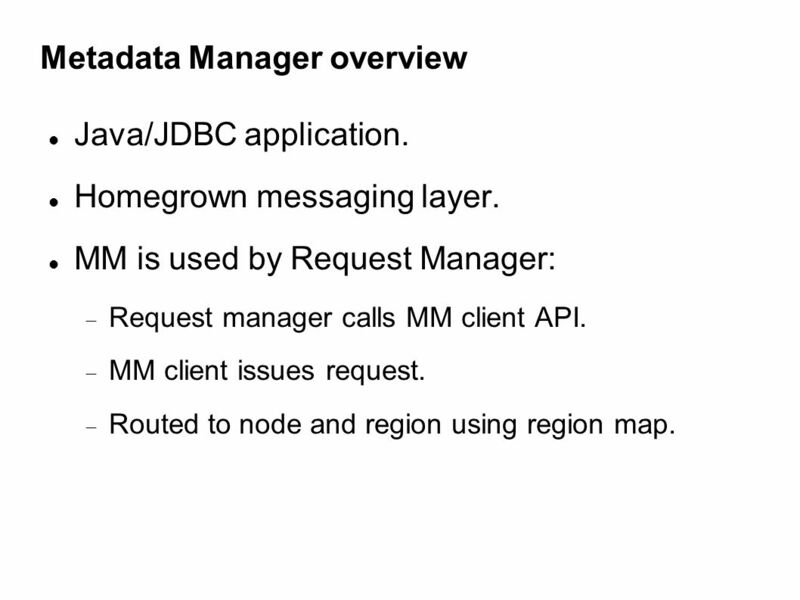 21 Metadata Manager overview Java/JDBC application. Homegrown messaging layer. 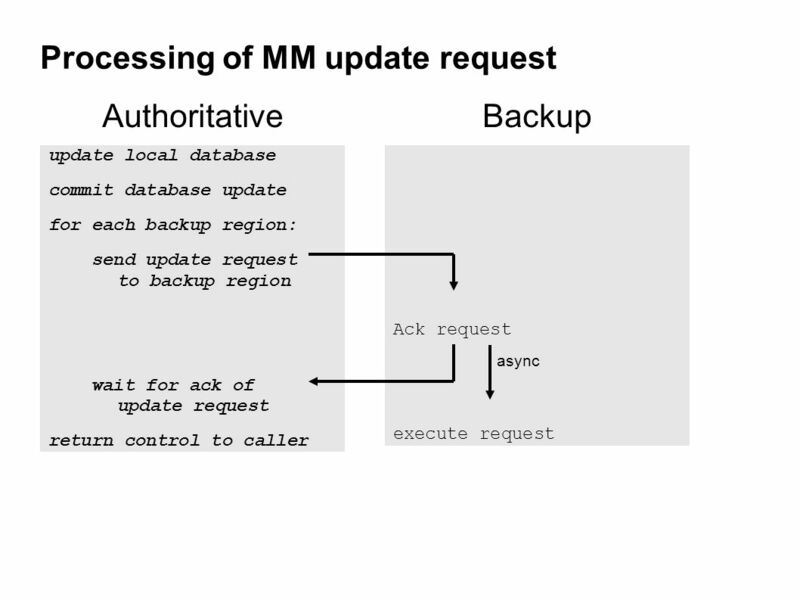 MM is used by Request Manager:  Request manager calls MM client API.  MM client issues request. 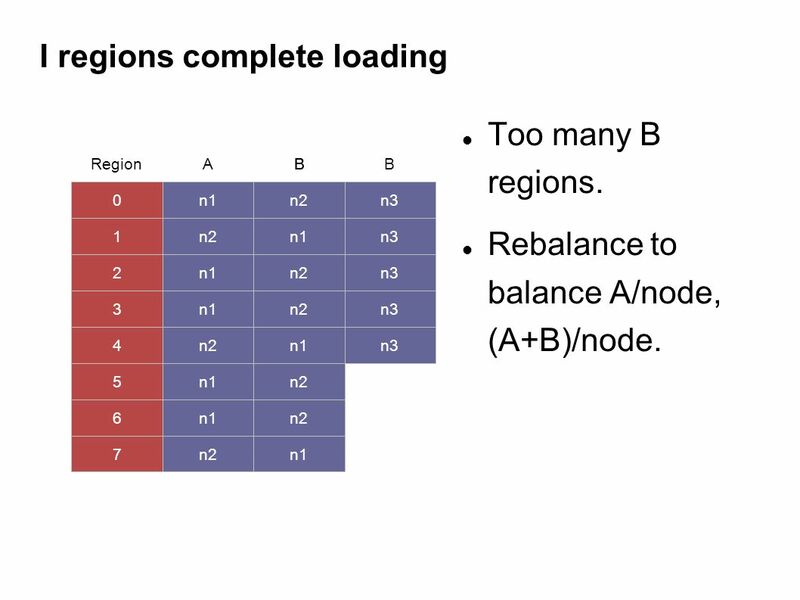  Routed to node and region using region map. 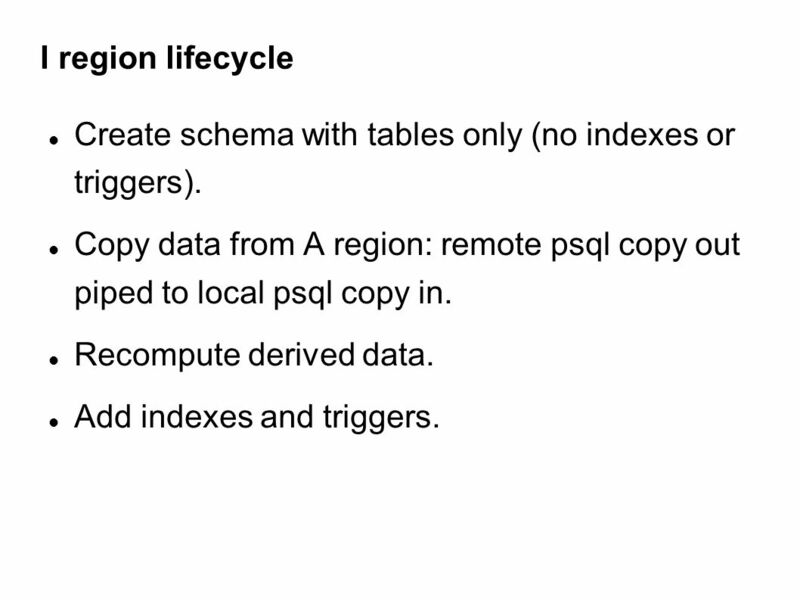 37 I region lifecycle Create schema with tables only (no indexes or triggers). Copy data from A region: remote psql copy out piped to local psql copy in. Recompute derived data. Add indexes and triggers. 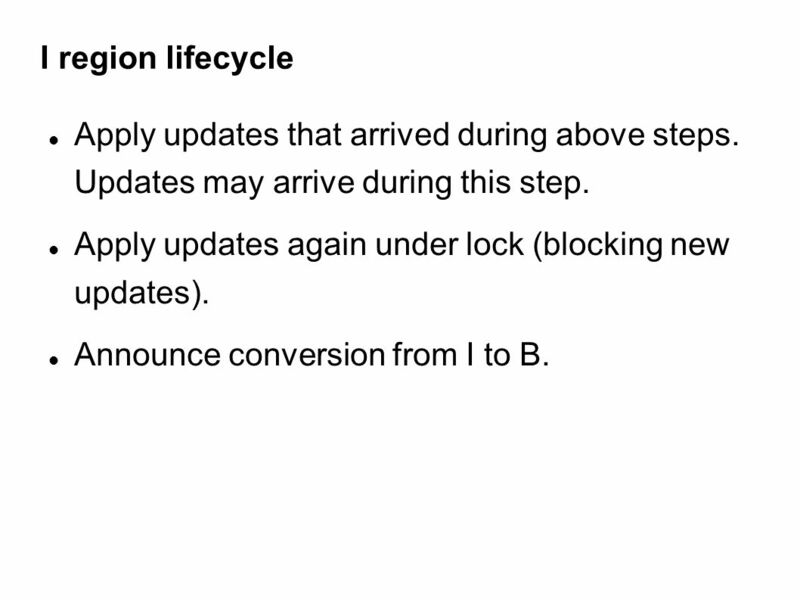 38 I region lifecycle Apply updates that arrived during above steps. Updates may arrive during this step. Apply updates again under lock (blocking new updates). Announce conversion from I to B. 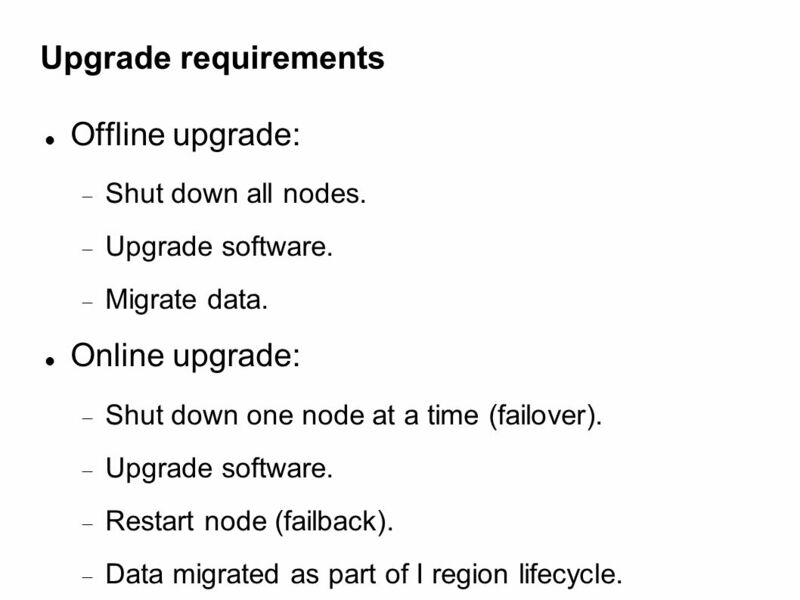 40 Upgrade requirements Offline upgrade:  Shut down all nodes. 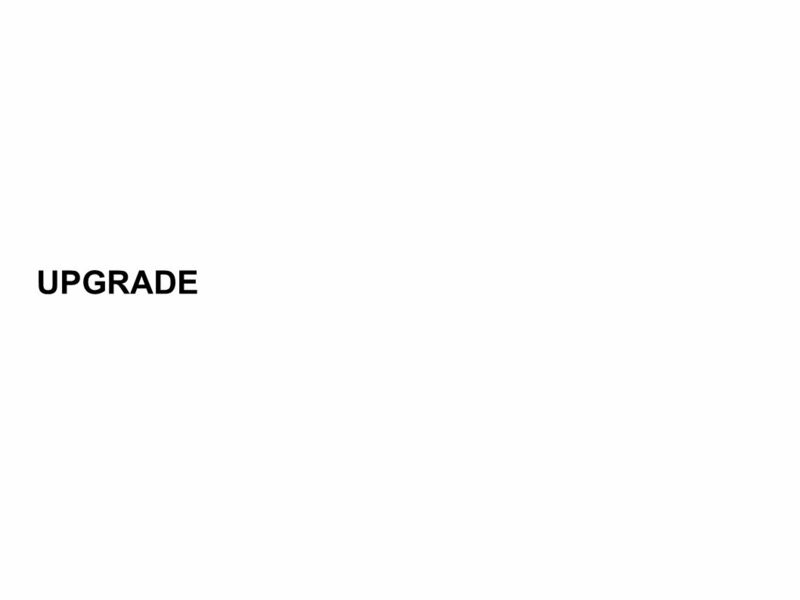  Upgrade software. 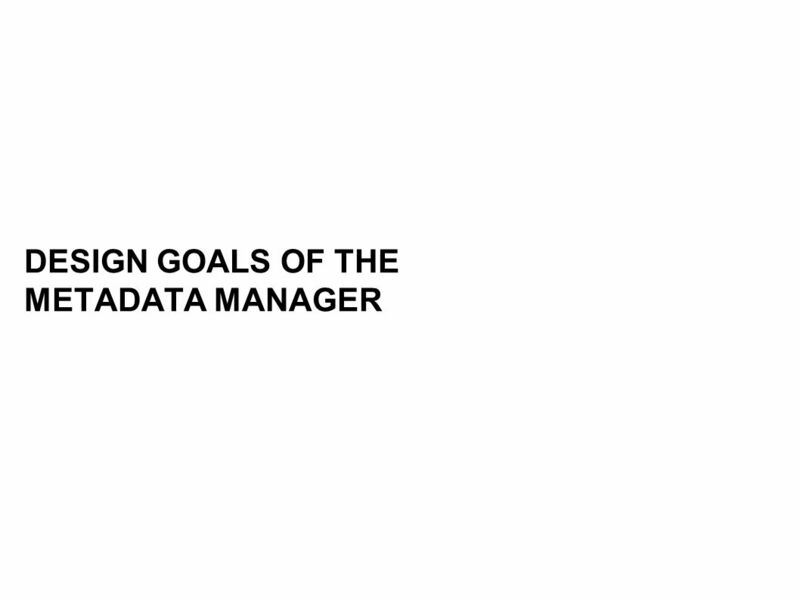  Migrate data. Online upgrade:  Shut down one node at a time (failover).  Upgrade software. 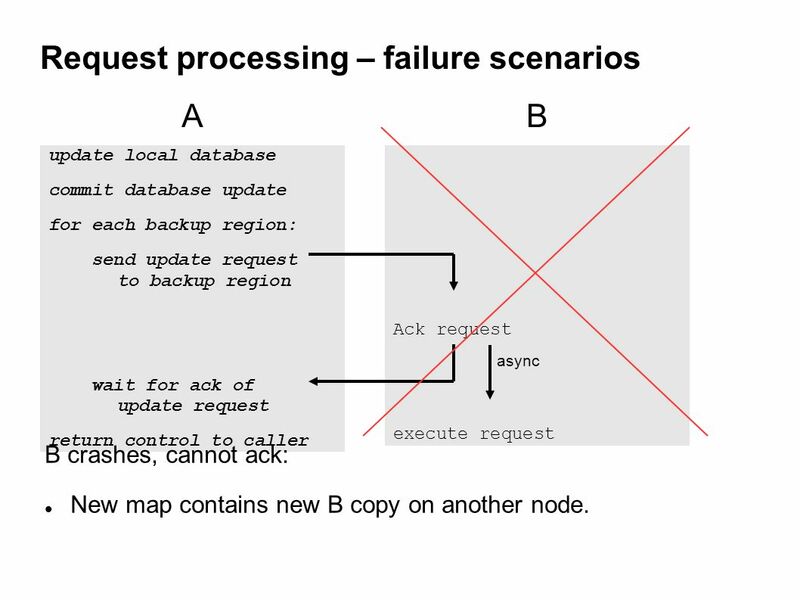  Restart node (failback). 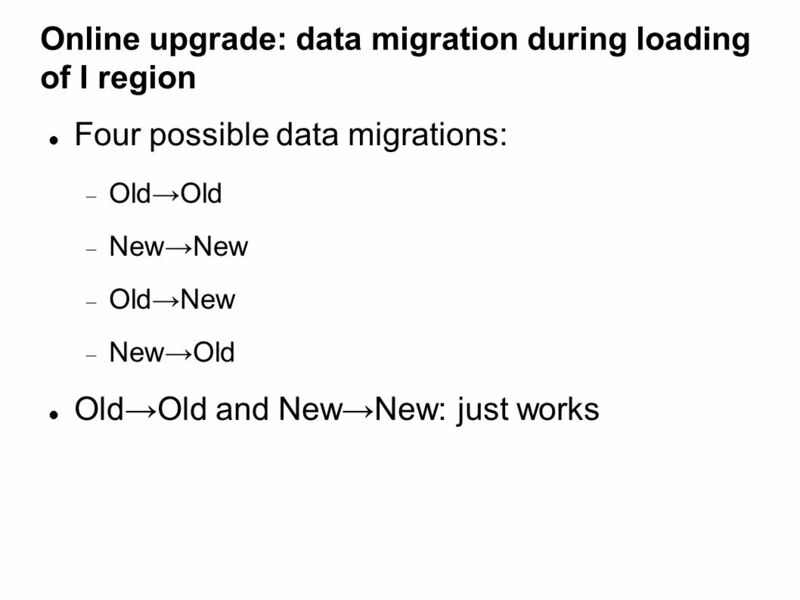  Data migrated as part of I region lifecycle. 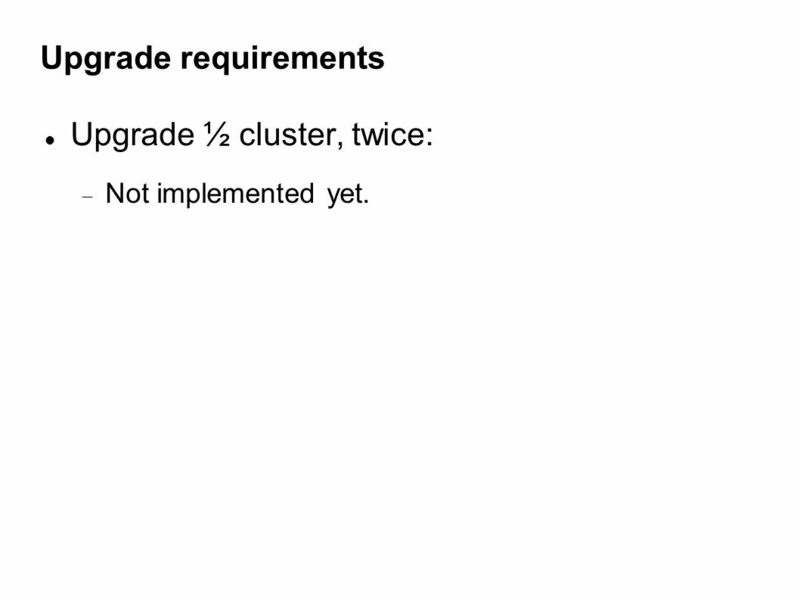 41 Upgrade requirements Upgrade ½ cluster, twice:  Not implemented yet. 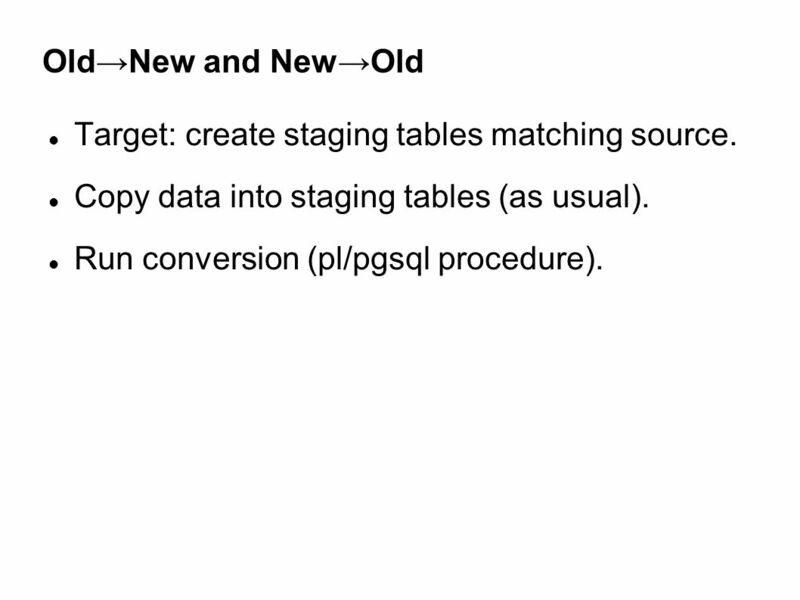 43 Old→New and New→Old Target: create staging tables matching source. 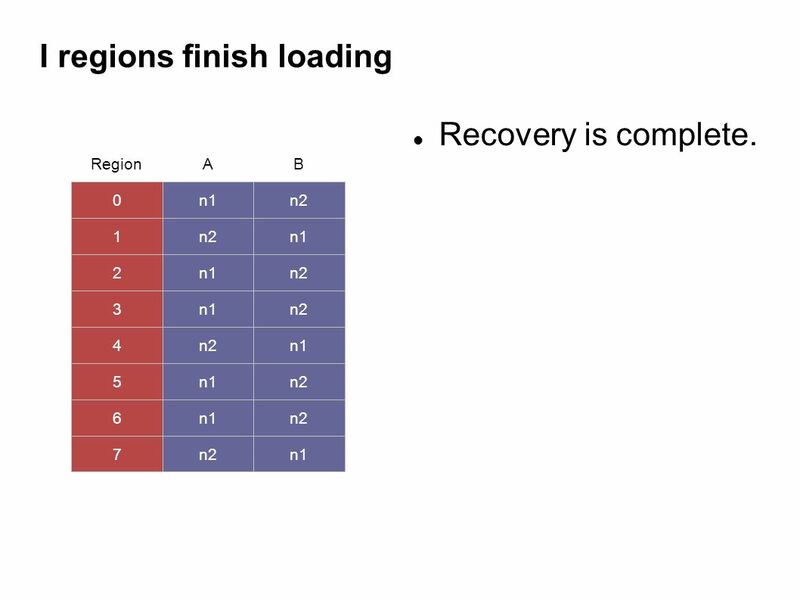 Copy data into staging tables (as usual). 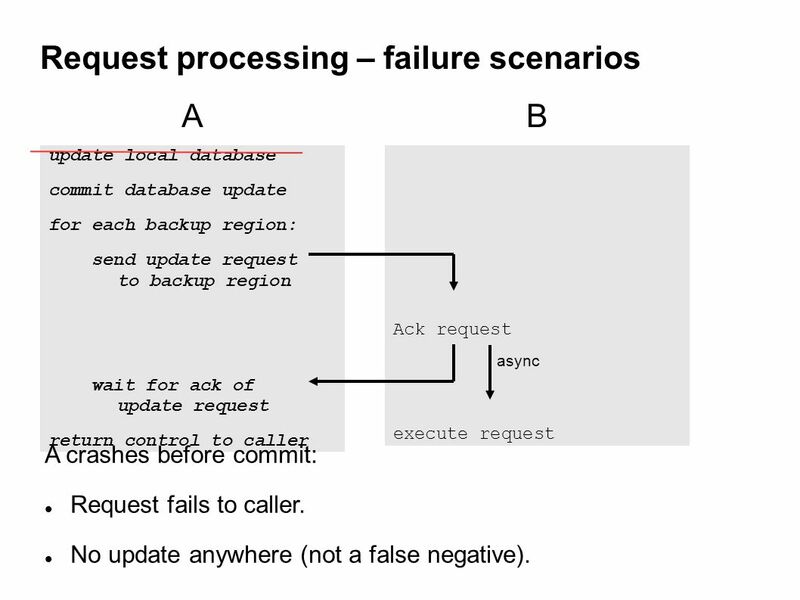 Run conversion (pl/pgsql procedure). 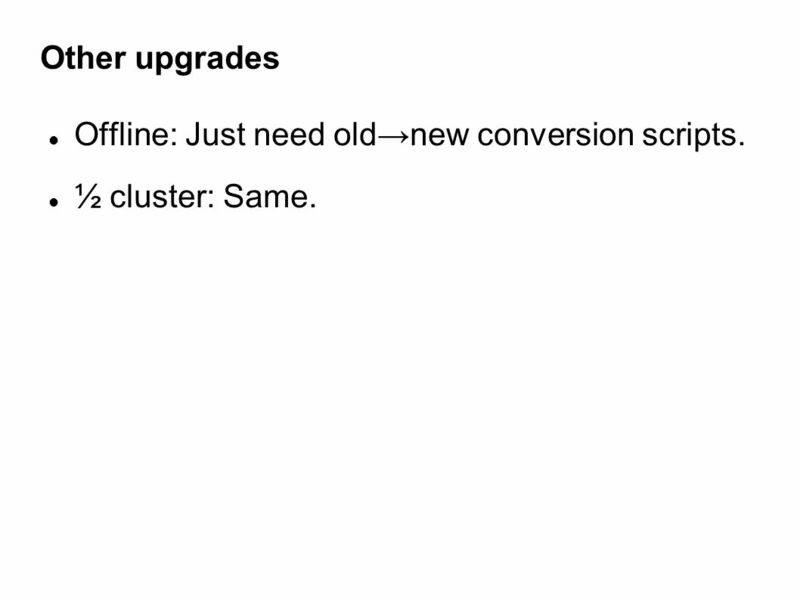 44 Other upgrades Offline: Just need old→new conversion scripts. 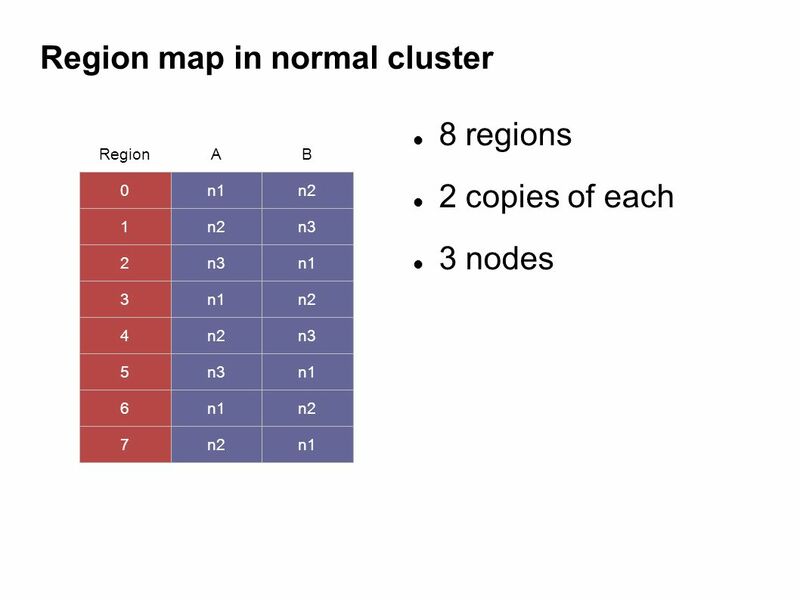 ½ cluster: Same. 46 State of the world 2004: 1/2G RAM, 1 CPU. 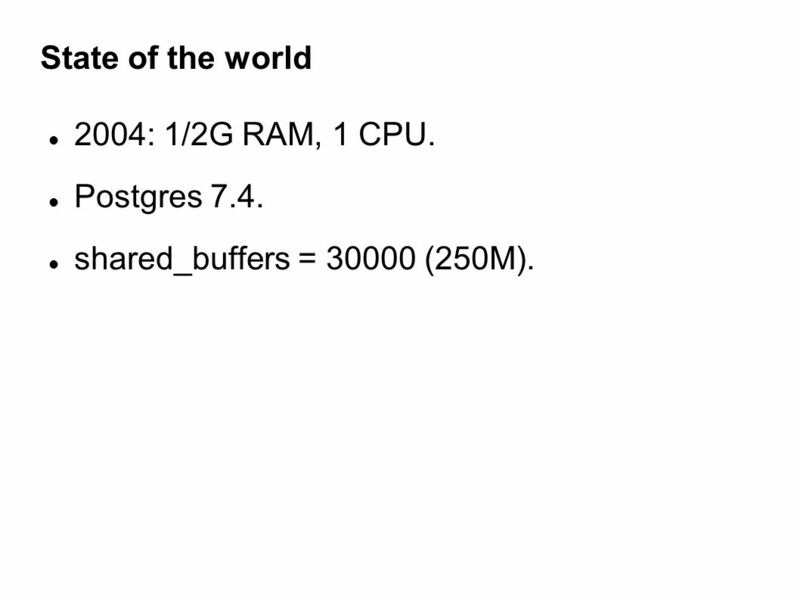 Postgres 7.4. shared_buffers = 30000 (250M). 47 Indexing Table storing file metadata has columns for directory and filename. PK on these columns is wide. 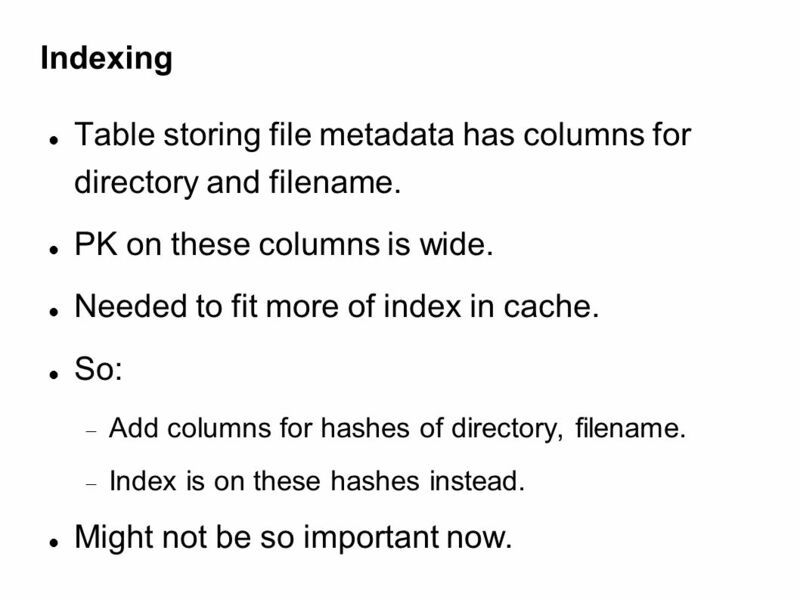 Needed to fit more of index in cache. So:  Add columns for hashes of directory, filename. 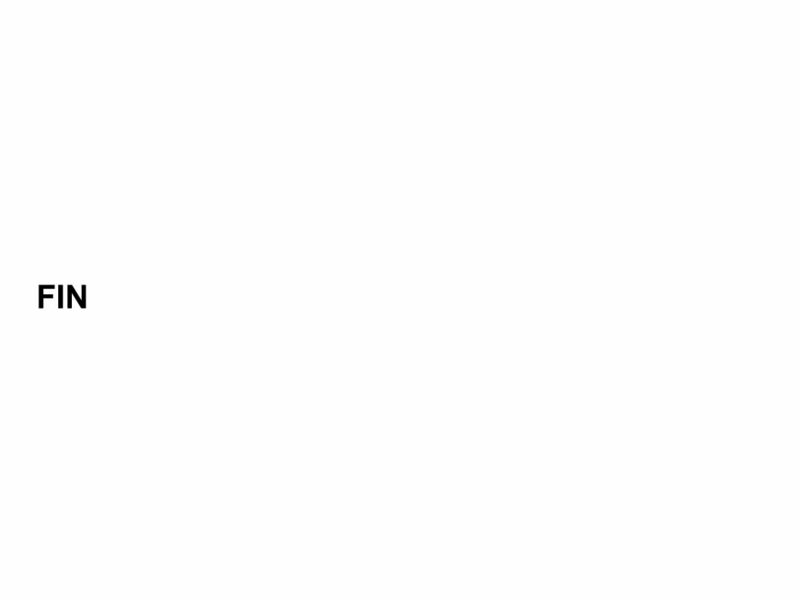  Index is on these hashes instead. Might not be so important now. 48 Dealing with hotspots On every file creation, need to maintain metadata on parent directory, (change time, file and subdir counts). Directory is a hotspot for updates. Needed to vacuum frequently to maintain performance. Can't afford to vacuum frequently. 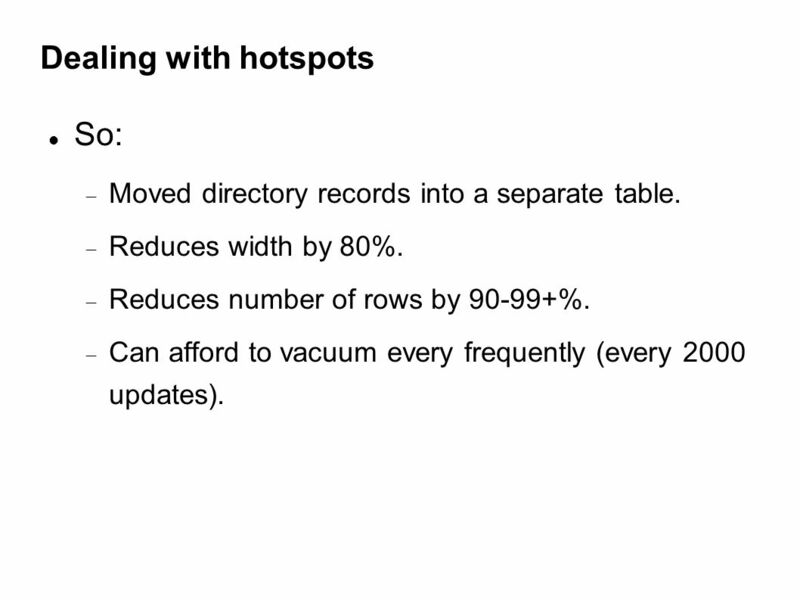 49 Dealing with hotspots So:  Moved directory records into a separate table.  Reduces width by 80%. 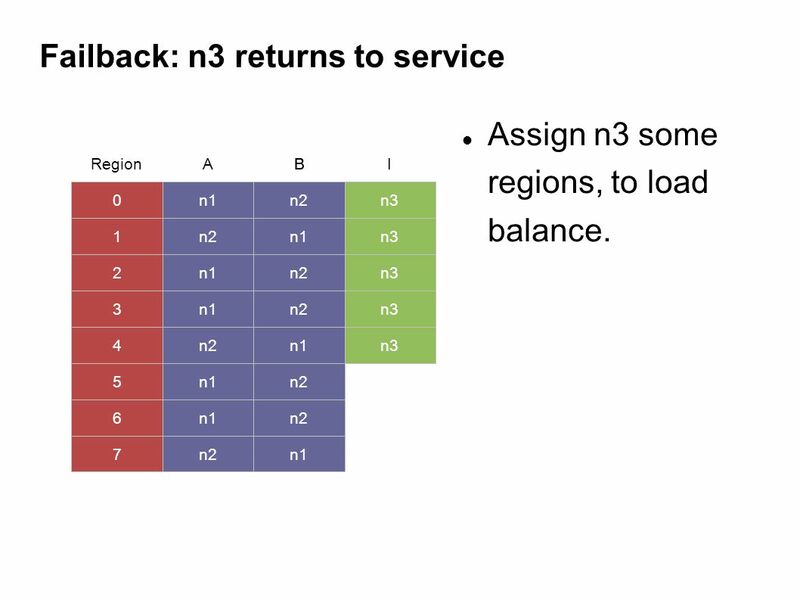  Reduces number of rows by 90-99+%.  Can afford to vacuum every frequently (every 2000 updates). 50 SPI A few columns have binary-encoded data. Read/written by Java layer. 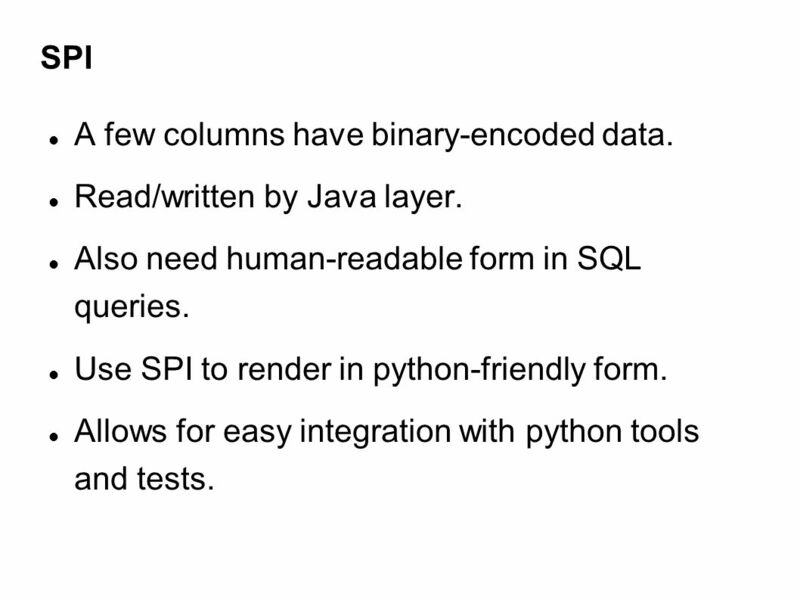 Also need human-readable form in SQL queries. Use SPI to render in python-friendly form. Allows for easy integration with python tools and tests. 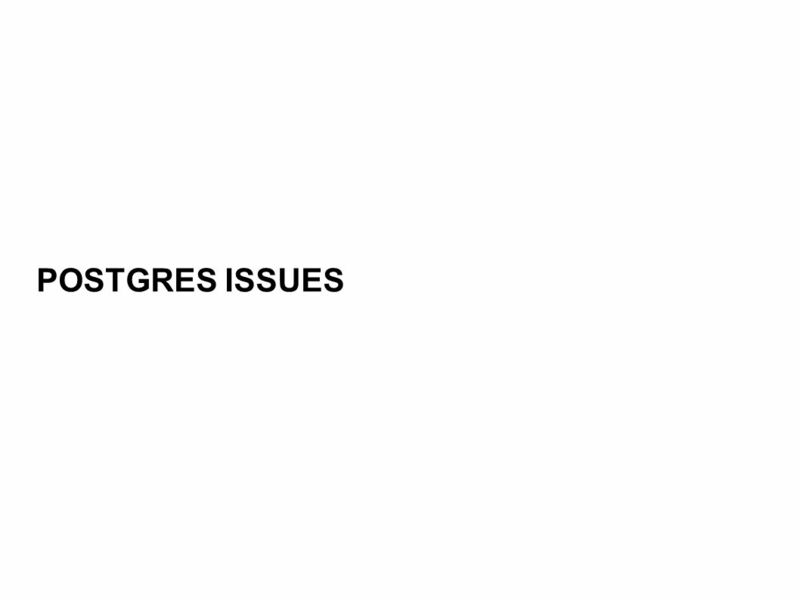 51 Conclusion Postgres has just worked. Vacuuming is a bit of a pain. 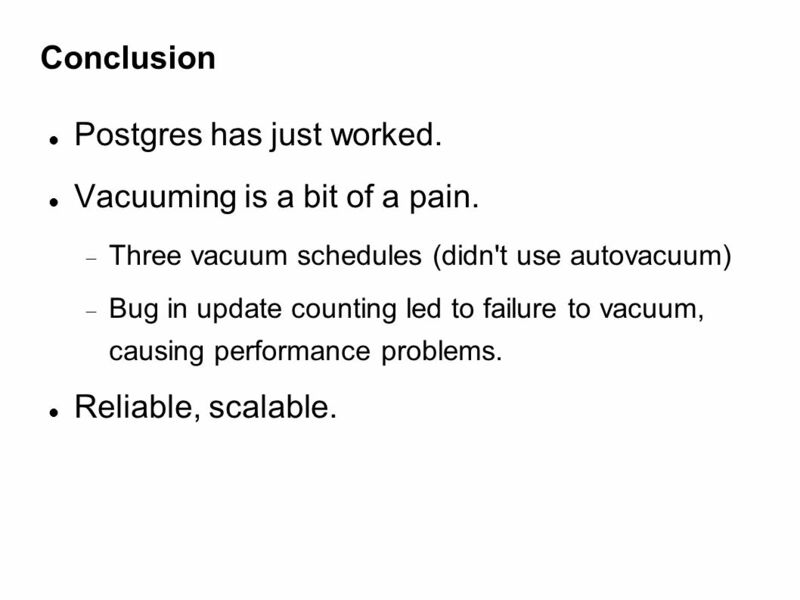  Three vacuum schedules (didn't use autovacuum)  Bug in update counting led to failure to vacuum, causing performance problems. 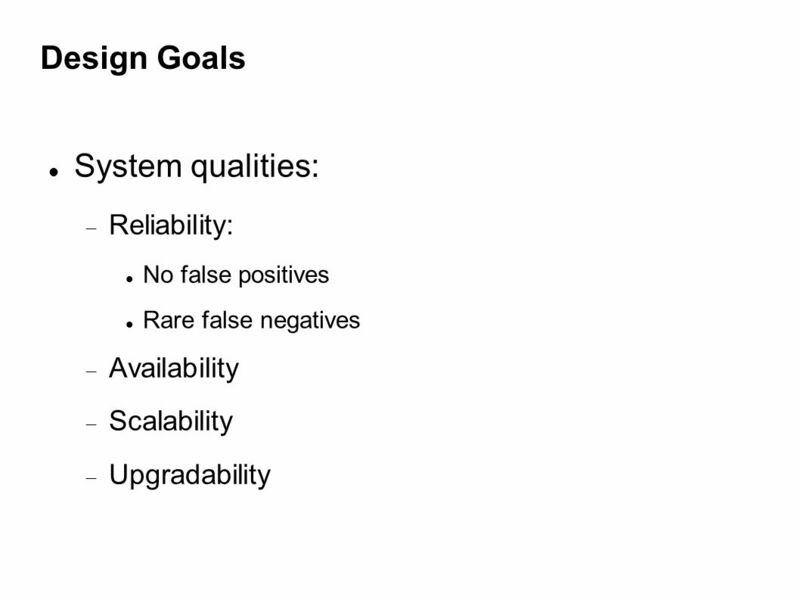 Reliable, scalable. 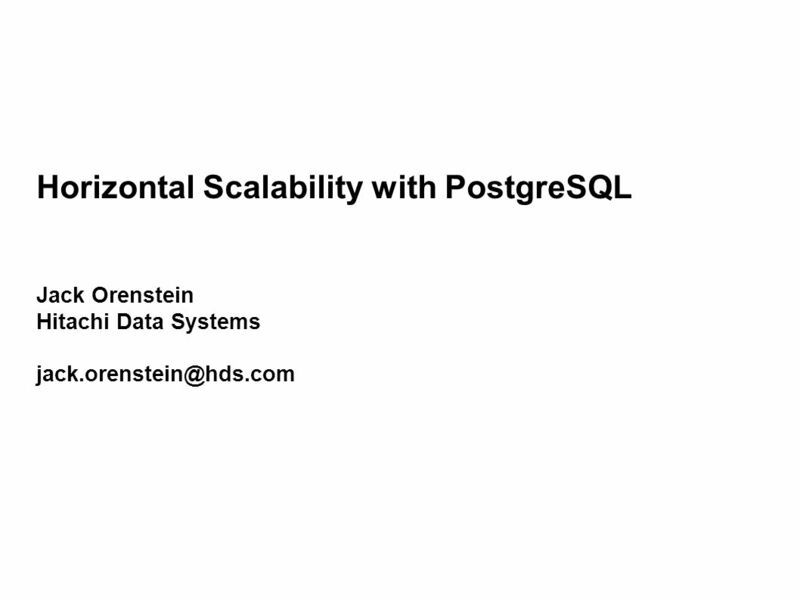 Download ppt "Horizontal Scalability with PostgreSQL Jack Orenstein Hitachi Data Systems"
Introduction to Hadoop Richard Holowczak Baruch College. The google file system Cs 595 Lecture 9. G O O G L E F I L E S Y S T E M 陳 仕融 黃 振凱 林 佑恩 Z 1. 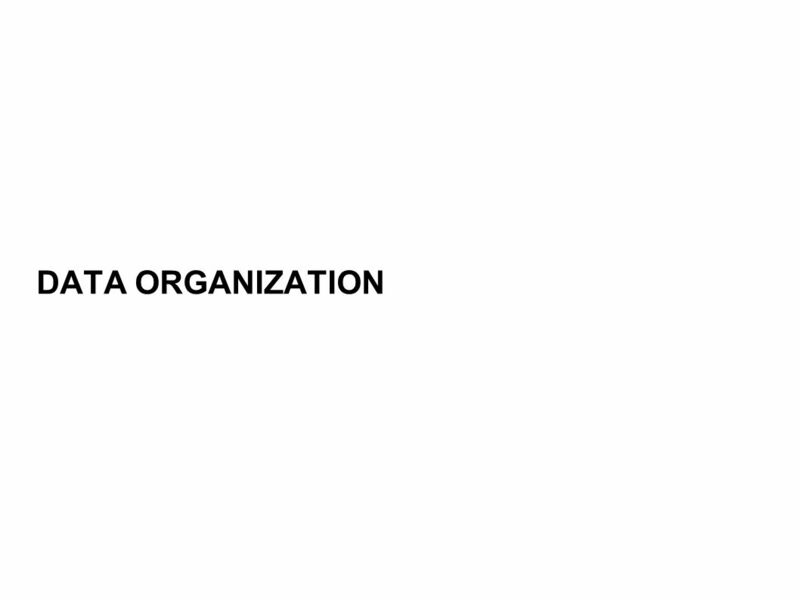 Oracle9i Database Administrator: Implementation and Administration 1 Chapter 2 Overview of Database Administrator (DBA) Tools. 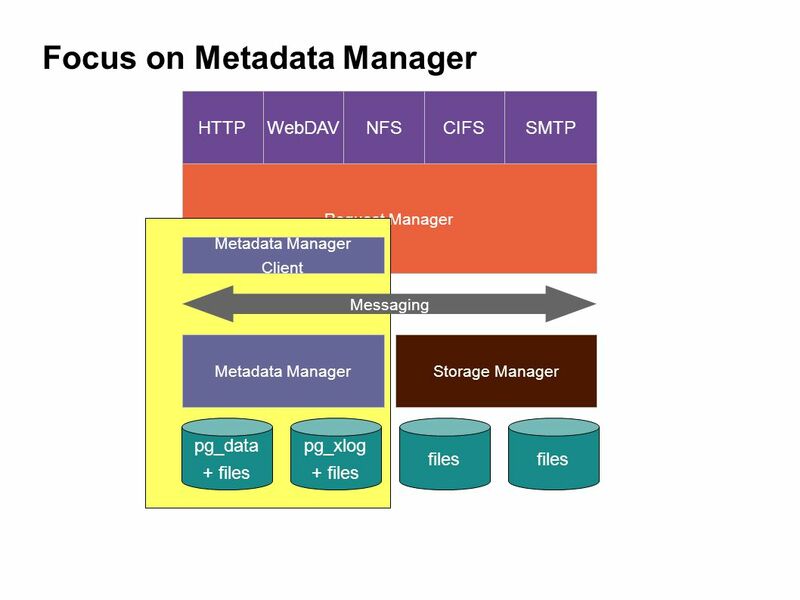 Serverless Network File Systems. 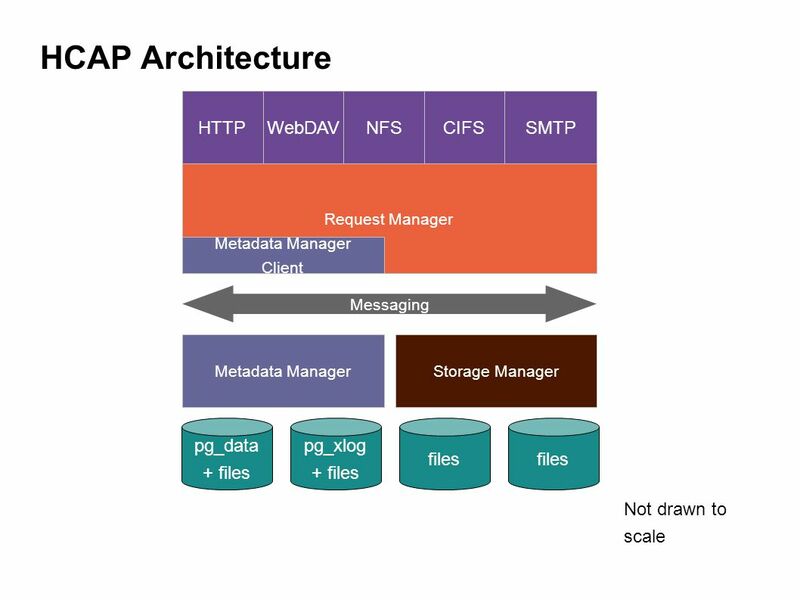 Network File Systems Allow sharing among independent file systems in a transparent manner Mounting a remote directory. 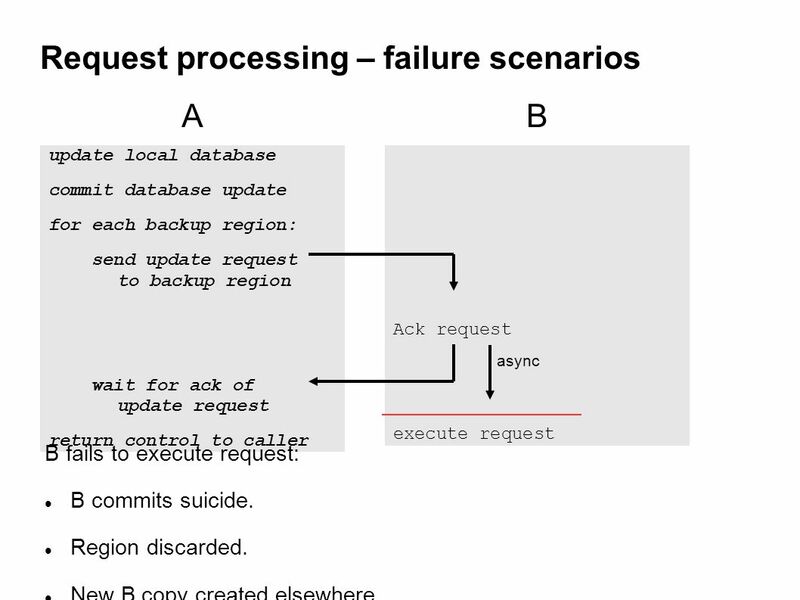 1 Principles of Reliable Distributed Systems Tutorial 12: Frangipani Spring 2009 Alex Shraer. 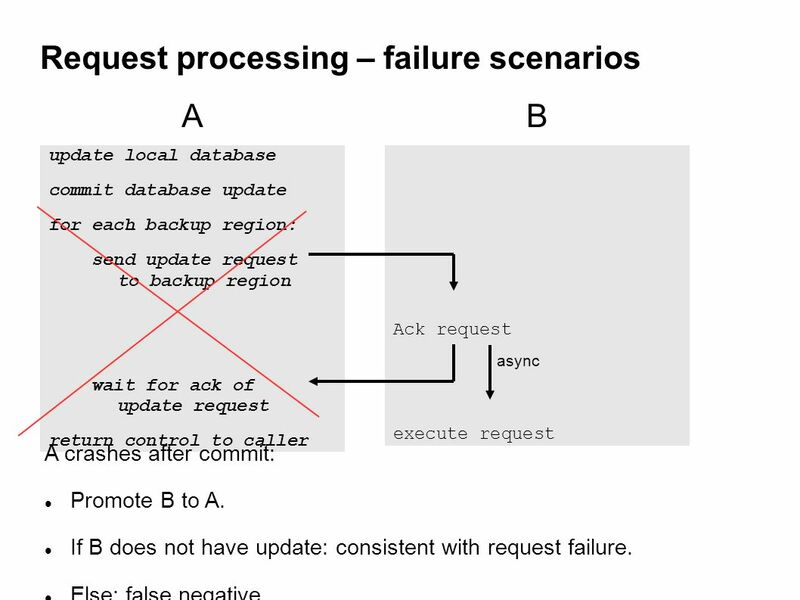 Module 14: Scalability and High Availability. Overview Key high availability features available in Oracle and SQL Server Key scalability features available. MOVE-4: Upgrading Your Database to OpenEdge® 10 Gus Björklund Wizard, Vice President Technology. Chapter 8 Implementing Disaster Recovery and High Availability Hands-On Virtual Computing.